A 2-storey main building rooms, with either terrace or balcony. 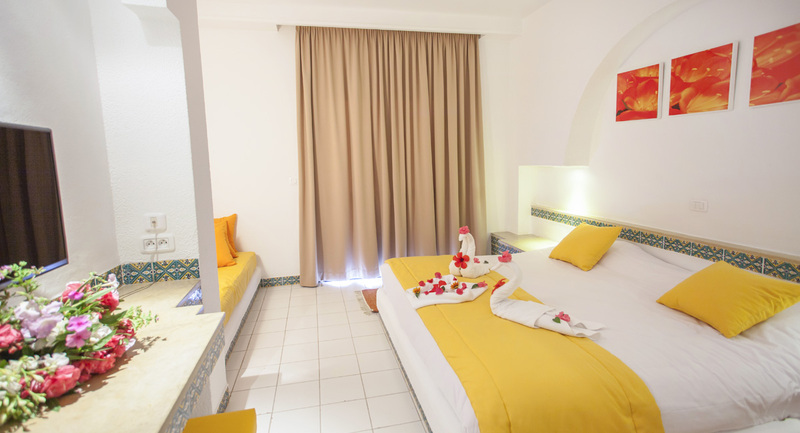 Double rooms (20 m² – 215 sq.ft) for up to 3 adults and offering Sea or pool view. 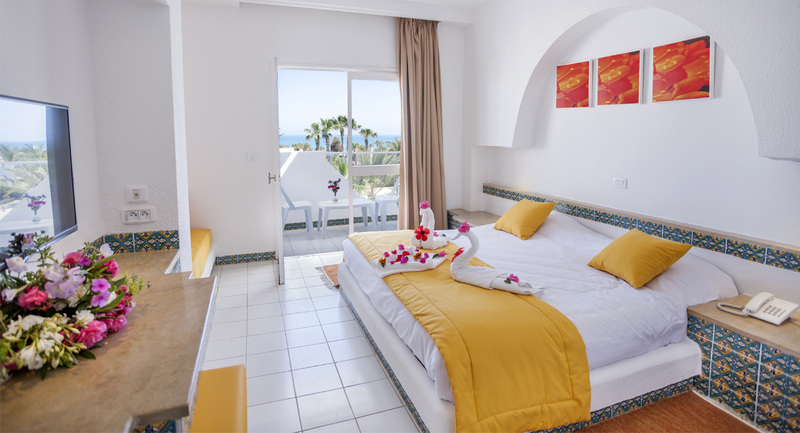 Sea View quadruple rooms (21 m² – 230 sq.ft) for up to 3 adults+1 teenager. Bungalows : rooms are featuring terrace or balcony, spread into 7 menzels. 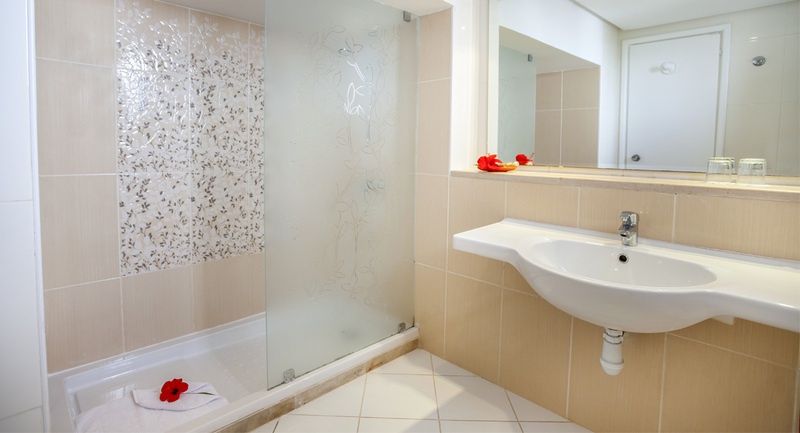 Double rooms (23 m² – 250 sq.ft) for maximum 3 adults. Quadruple rooms (26 m² – 280 sq.ft) for maximum 3 adults and 1 teenager. We do not offer connecting rooms.